Small bites size bits of heaven. Enjoy the sweet heat of a peppadew pepper stuffed with creamy goat cheese and drizzled with a balsamic glaze. Ellsworth White Cheddar Cheese Curds wrapped in bacon then melted to deliciousness. Served with a spicy Chipotle Ranch dipping sauce. Highly addictive dipping sauces to hold you till dinner arrives. Feta cheese blended with roasted red peppers to create a highly addictive zingy sauce! Served with either grilled flatbread or Naan Bread. 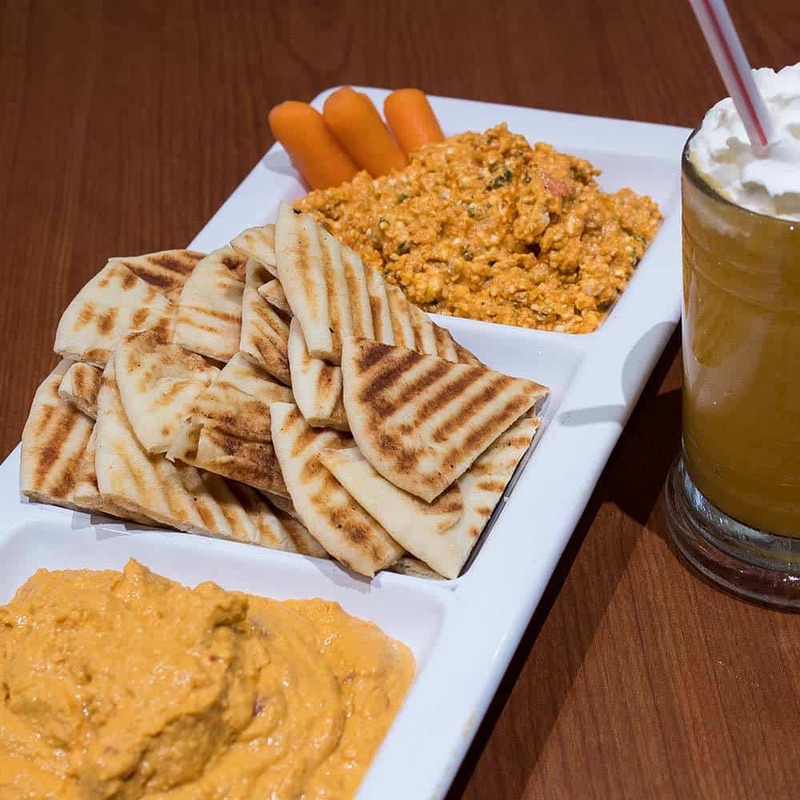 Roasted Red Pepper hummus served with grilled flat bread or grilled naan bread. Crunchy bites of salty goodness covered in sauces. Crispy crunchy kettle chips! Wanna add some sauces? No Problem! Add a trio of sauces for only $2.25! 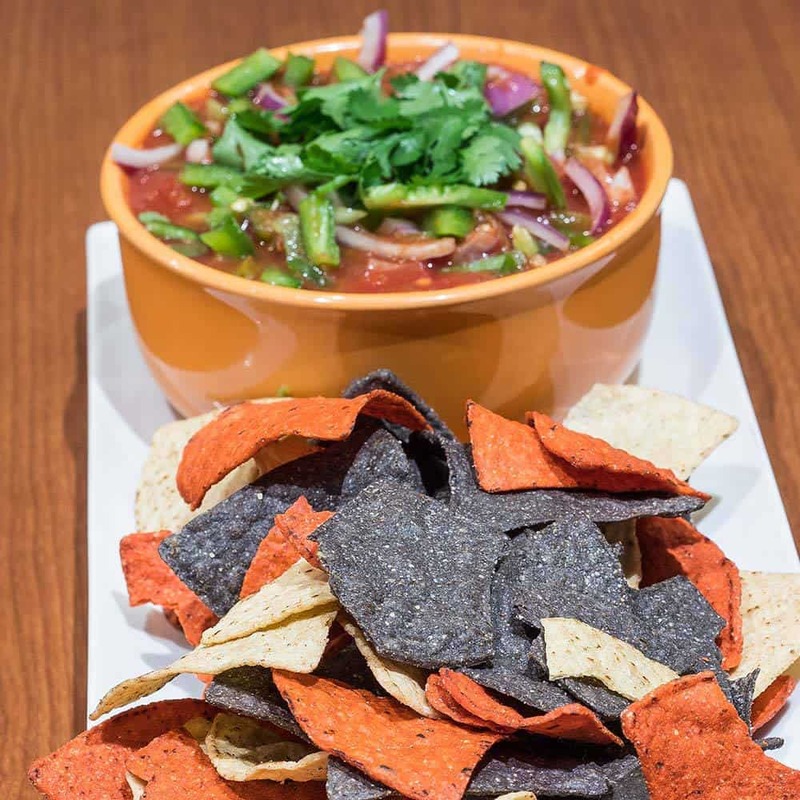 Mildly spiced chunky salsa served with blu corn tortilla chips. Spice it up with some diced jalapenos for .75! Mini snack size sandwiches too cute to put down. Thinly sliced medium rare Prime Rib served on warmed rolls with traditional Au Jus on the side. Large variety of finger foods to snack on. 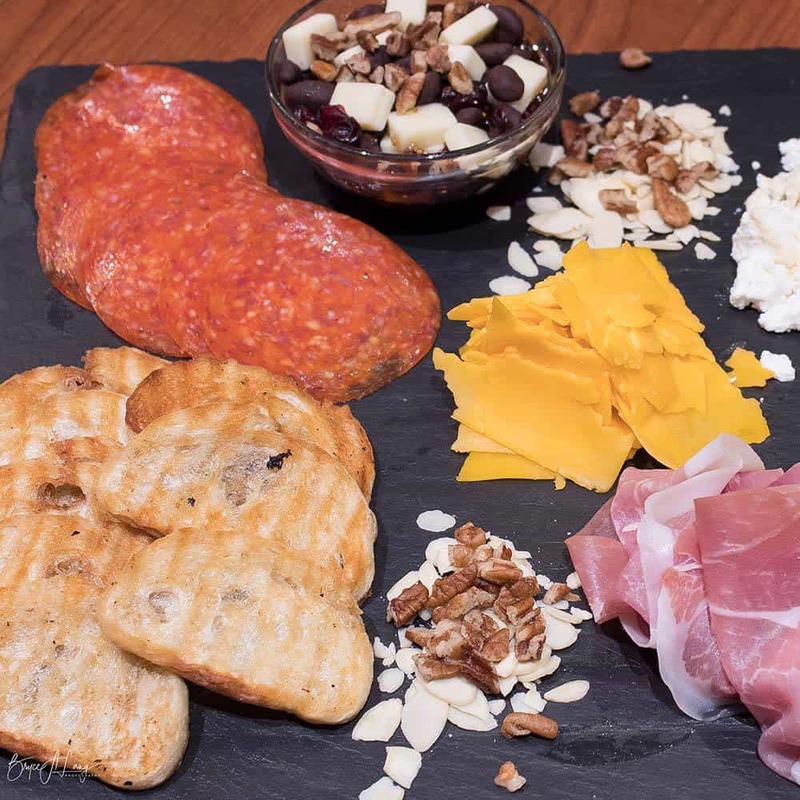 Assortment of cured meats and cheeses with nuts, jam and toasted baguettee bites.